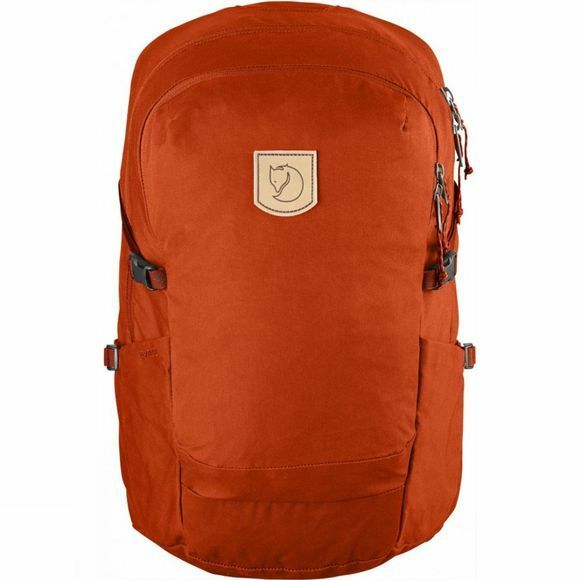 The High Coast Trail 26 Rucksack from Fjällräven is a durable rucksack that is ideal for a whole host of adventures. It is perfectly sized for trail hikes or daily commutes and can be adapted accordingly. The padded shoulder straps offer comfort no matter what your plans, while the hipbelt can be stowed away when carrying less weight. The sternum strap can be adjusted to the right height for your comfort and also features an emergency whistle should you be caught in precarious situation. The generous main compartment of this pack has a zipped entry and a security pocket on the inside that also features a key clip. There is another pocket on the front of the pack, also zipped and two further expandable side pockets that can be adjusted with a strap.